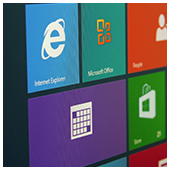 Best new features in Windows 10 - Corona, Norco, Riverside | Forum Info-Tech, Inc. Creators Update contains the most significant upgrades to Microsoft’s Windows 10. Some of the stand-out features include application enhancements, improved user experience, and a few productivity features that may seem too small to be noticed. These upgrades were recently rolled out, giving reason to personal and business users alike to get excited. If you’ve been using Windows 10, you’re familiar with this scenario: While you’re on your computer, the system automatically reboots for automatic updates, interrupting your workflow. Although automatically having your system updated on time has advantages, it can also be a burden and a nuisance because it leaves you with no option to decline or delay an update -- which you might want to do especially when you’re in the middle of a critical task. With the Creators Update, you can choose to pause updates for a week. It also lets you set Active Hours, an 18-hour window when Windows won’t install updates. It’s a minor enhancement that should be a welcome feature to users who like having better control over their system updates. When Windows 10 was launched, privacy was a big concern among users, mainly because of the amount and nature of data being collected. Users and certain regulatory bodies were alarmed that Microsoft, through Windows 10, didn’t have enough control over how it processes and collects data. Microsoft initially responded by announcing that setting up privacy protocols will be easier when it launches its new updates. And now, Microsoft has taken steps to address these privacy issues. Creators Update introduces a Privacy Dashboard, which offers a more seamless and user-friendly way to control privacy settings, specifically in terms of location, speech recognition, diagnostics, tailored diagnostics data, and relevant ads. Another privacy enhancement is in Windows Defender, which now features improved scanning options and better reporting of your PC’s performance and health. Other interface enhancements and updates to the Windows 10 ecosystem also add a nice touch to the overall user experience. These updates include more vivid themes, a bluetooth-enabled lock function called Dynamic Lock, new display settings, videos and maps writing capabilities, and more. Among the other new features, users might not immediately notice the upgraded storage settings. If you’re worried about all these new applications and programs taking up space in your PC, don’t fret. The new update also comes with a storage setting that auto-deletes unnecessary files when your storage space is about to run out. All in all, businesses that use Windows 10 can expect better privacy, controlled updates, improved security, and a smoother user experience with the Creators Update. Microsoft is expected to introduce even more updates later this year, and if you want to know how you can make the most of these and other Microsoft features, we’re here to help.